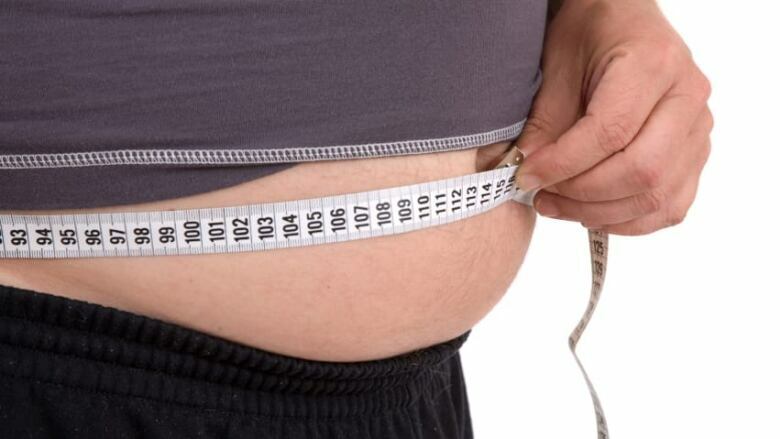 Could the cause of obesity be in our genes? Researchers at Western University may have found a gene that regulates fat accumulation. The scientists used mice as their test subjects. Their findings may one day shed light on why some people struggle with their weight. Researchers at Western University's Schulich School of Medicine and Dentistry may have found a gene that regulates fat accumulation. The scientists used mice as their test subjects. Their findings may one day shed light on why some people struggle with their weight and others don't. At the heart of the matter is a protein in the gene called Pannexin 1, said Silvia Penuela, PhD, assistant professor at Schulich. "When we remove this gene we see that mice make a lot more fat," she said in an interview with CBC Radio's Afternoon Drive. There are two ways to accumulate fat, according to Penuela. One is to create more fat cells. The other is to make bigger fat cells. That's what she said happened in the mice. "So far we can see the fat cells in mice get bigger so that they're able to accumulate a lot more fat." said Penuela. "This is what we saw in the mouse no matter the diet. So if [the mouse] had a high fat diet or a regular diet, unfortunately, in both cases they would accumulate the same amount of fat." There was also a greater risk of developing Type 2 Diabetes. "Of course we have to see how this plays out in humans," said Penuela. That work has just begun with the analysis of samples from liposuction or breast reduction surgery. "So we can obtain the fat cells from [human] patients and check the expression of this gene or Pannexin 1," she said. "We're trying to see if we can co-relate the amount of Pannexin 1 with the propensity of that patient to accumulate fat and maybe we can draw some conclusions based on that." Penuela warns we're not close to finding a cure or intervention for obesity although that's the end goal. "We are many, many years from that unfortunately. But, right now at least we think we can use this as a bio-marker just to see if maybe we can predict certain patients that will have this deficiency or this mutation ... that makes them more likely to accumulate fat." While unlocking all the nuances of a potential genetic link to obesity may be years away, Penuela hopes this study will generate interest and funds to continue the research. "I hope that's the case," she said. "This is the first study to show a link between Pannexin 1 and fat accumulation."